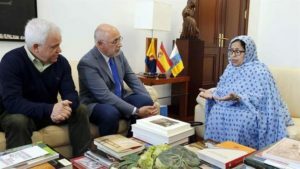 The Spanish ruling People’s Party has lashed out at the Canary Islands government for defending the Polisario’s separatist theses to the expense of the interests of the island population. In a statement released Saturday (March 17), the People’s Party protested, through its local spokesman, Felipe Alfonso El Jaber, against the alignment of the Canary islands government on the Polisario’s theses to the detriment of the interests of the people of Gran Canaria. 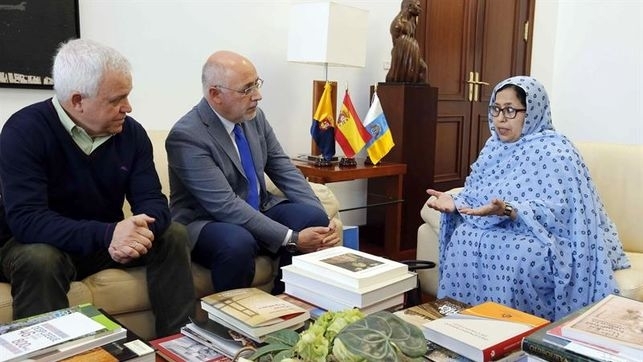 For the PP, the autonomous government, headed by Antonio Morales, leader of the center-right party “Nuevas Canarias”, has become “the spokesperson for the Polisario front”, and sacrificed the interests of the island and its population for the benefit of the separatist front elements. “The cabildo (local government) has become the main enemy of Gran Canaria (…) It acts as the political spokesperson for the Polisario Front,” said Felipe Alfonso El Jaber. “The Popular Party has called on Antonio Morales’s government to focus on defending the interests of Gran Canaria, instead of voicing threats, obstructing investments and boycotting the expansion of the island’s businesses abroad, “said the PP spokesman, in response to the attacks uttered by Antonio Morales against the Spanish airline Binter for servicing the Las Palmas-Laayoune (the Moroccan Sahara) route. Describing Morales’ attack on Binter as “shameful”, the spokesman for the PP, the main opposition party to the local government, noted that “the interventionist government of Morales does not limit itself to stopping investments worth millions of dollars in the island, but is now focused on torpedoing economic activities, investments and growth plans of local enterprises”. The Popular Party made it clear that it considers that the air link between the Canary Islands and the cities of the Moroccan Sahara “does not pose a threat to anyone, except to those who, for whatever reason, may have a particular interest in maintaining the population (of the Canary Islands) isolated “.